Some images to chew into until the trailer comes out. 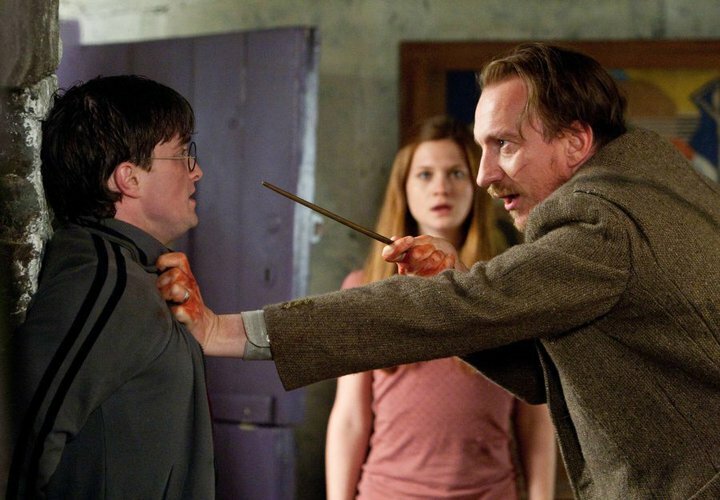 Remus Lupin quizzing Harry about something only he would know for security purposes. 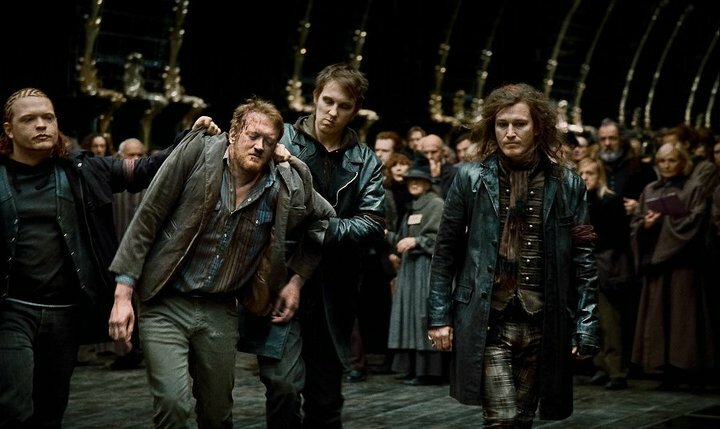 Since Death Eaters seemed to know of their escape plan it was generally assumed there was a snitch or something disguised as an order member. 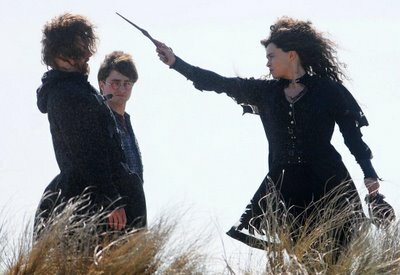 Hermione polyjuiced as Bellatrix Lestrange. She’s disguising Ron by giving him a beard so they can break into Gringotts unnoticed. 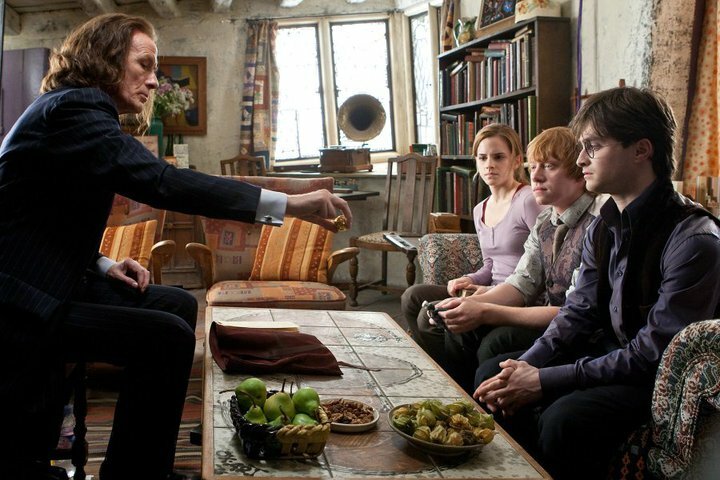 Making a bargain with Griphook about his help in breaking into Gringotts. 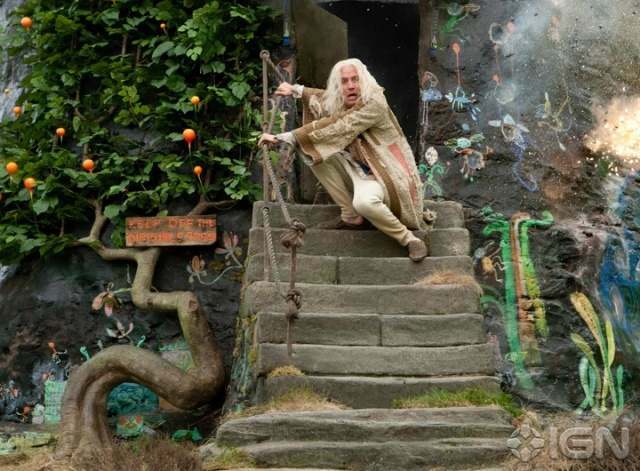 Xenophilius Lovegood, after he tries to exchange the trio for his daughter, Luna with the Death Eaters. 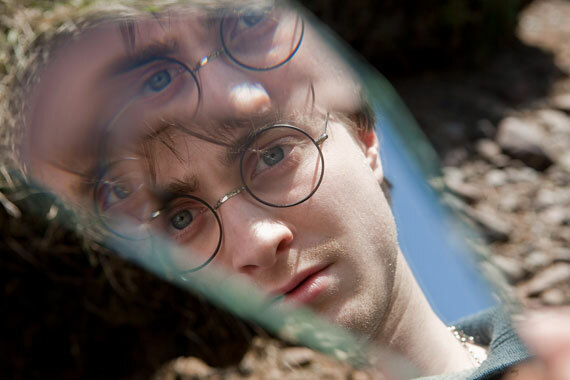 Mundungus Fletcher sells Sirius’s mirror to Aberforth Dumbledore who hears Harry’s cries for help and sends help in the form of Dobby. The Tales of Beedle the Bard being exchanged between Hermione and Harry. 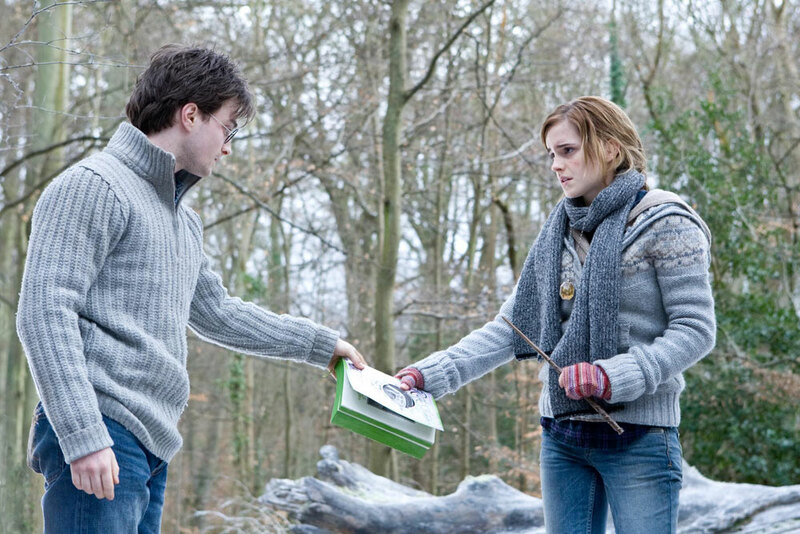 Harry’s the believer while Hermione’s the cynic about the probability of the book’s contents being real. 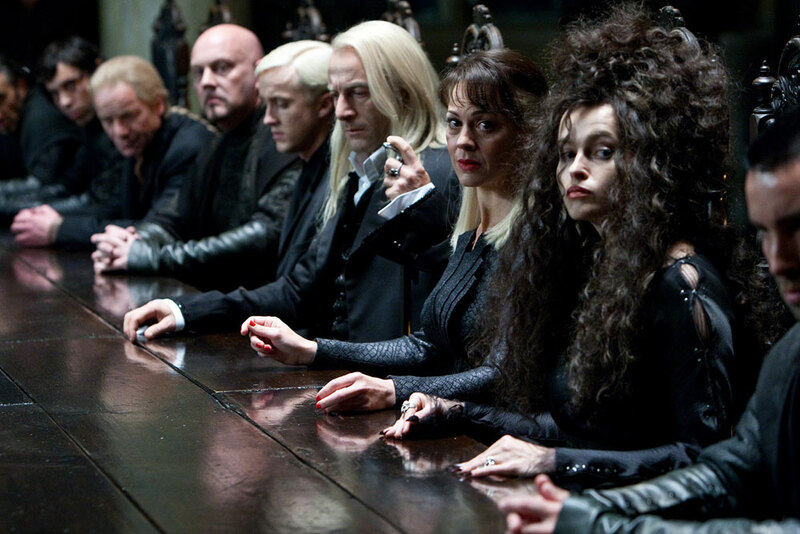 Death Eaters waiting at a meeting about to watch Charity Burbage, the muggle studies professor, die. Snatchers bringing in some mudbloods whoops muggleborns. 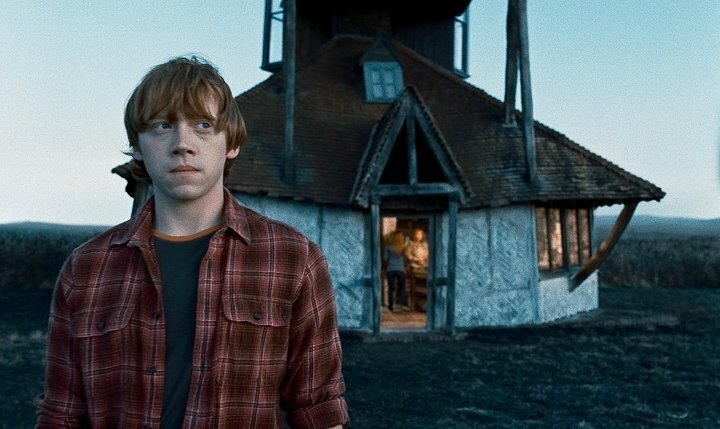 Ron outside the new burrow since the old one was gutted in the fire? We can see Mrs. Weasley and Ginny in there so that’s my guess. I never did figure out why this un-canon plot was necessary. 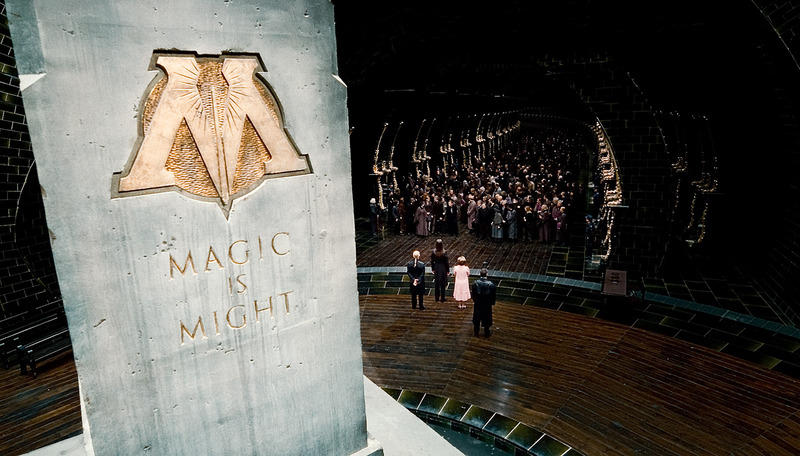 The Minister of Magic giving Harry the snitch which he inherited in Dumbledore’s will. This trailer is so incredible. Can’t wait to se Bill Nighy as Scrimgouer.